We’ve long heard about why we should deploy AI, but a new MIT report is showing the tangible benefits to be had from doing exactly that ­– at least in the customer experience space. Humans + bots: Tension and opportunity is drawn from a survey of 599 executives worldwide, including more than 40 across Australia and New Zealand, and finds nine out of 10 firms surveyed have added AI enhancements – think chatbots and machine-assisted agents, sentiment analysis, natural language analysis – to the customer journey and are reaping the rewards. Nearly 90 percent of survey respondents in Asia (where around 200 c-suite and senior leaders across technology, customer care, sales and marketing were surveyed) have recorded measurable improvements in the speed of complaint resolution, with more than 80 percent noting enhanced call volume processing using AI. Across A/NZ 38 percent of those surveyed said their customer lifetime value was up more than 10 percent in the past 12 months, with 30 percent reporting it was up five to 10 percent. Better yet for the companies, the gains in customer satisfaction are improving revenue performance and customer lifetime value survey respondents say; 38 percent of those surveyed in Australia and New Zealand say their revenue performance is up more than 10 percent, with 22 percent up 5-10 percent and 30 percent up less than five percent. Nick Holdsworth, Telstra Australian and international service delivery executive, says AI has moved from being a ‘tactical’ resource to a ‘strategic one’. Telstra is using AI to provide agents with call feedback and action suggestions via real-time monitoring of each trending conversation. “We have traditionally wanted to understand the ROI of our AI investments, but more and more the real value comes back to the role it plays in defining the connection between customers and their brand relationships,” Holdsworth says. The majority of A/NZ respondents said between 10 and 25 percent of their company’s customer transactions are already supported using AI, with 22 percent saying it supports 25 percent to 50 percent of transactions. For five percent of those surveyed, the number climbs to between 50-75 percent. But while the improvements are clear, they haven’t come without costs, with 22 percent of A/NZ businesses reporting a five to 10 percent increase in customer experience operating costs. For three percent, costs are up more than 10 percent. Perhaps surprisingly, it’s not efficiency that’s driving AI uptake, instead 51 percent of A/NZ respondents said AI investment is driven by a need to improve customer intimacy. Just 16 percent cited the need to improve CX efficiency. The MIT report follows a similar report from Gartner, back in October, which found AI investment is paying off when it comes to digital commerce work. 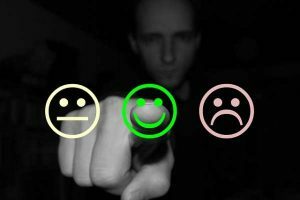 That report found that 70 percent of digital commerce organisations surveyed said their AI projects have been ‘very or extremely successful’, with three-quarters saying they’re seeing double-digit improvements in customer satisfaction, revenue and cost reductions. Improvements ranged from 15 percent for revenue growth and cost reductions to 19 percent for customer satisfaction. It should, perhaps, however be noted that 49 percent of those surveyed for the MIT report came from companies which reported in excess of US$5 billion in revenue in 2017, with just one percent coming from companies with less than $50 million in revenue, and a further one percent coming from companies with revenue of $1 billion to $5 billion – so we’re not talking small, or even medium, business here. In fact, the latest MYOB Future of Business report for New Zealand shows 22 percent of Kiwi SMEs say technologies like AI, machine learning and IoT would not have an impact on their business over the next few years. Just 14 percent expected AI and robotics to impact their industry, with only six percent expecting machine learning and 3D printing to do the same. The Kiwi SMEs were focused instead on the benefits of improved connectivity, something that has prompted a warning from MYOB futurist in residence Keran McKenzie, who cautions SMEs need to embrace new technology now, rather than wait until it’s too late. “The next wave of disruption – the dawn of AI, nanobots, the internet of things, big data and blockchain – is imminent, and is set to change everything we know about technology and the role it plays in business,” McKenzie says. And, to end, some big figures to think about: The MIT report notes Alibaba’s Singles’ Day, which netted more than $25 billion in sales, saw more than 93 percent of customer queries resolved through AI-enabled chatbot tools – the equivalent of 120 million rounds of customer conversations, which would have required 83,000 human agents working around the cloud for the 24 hour event.